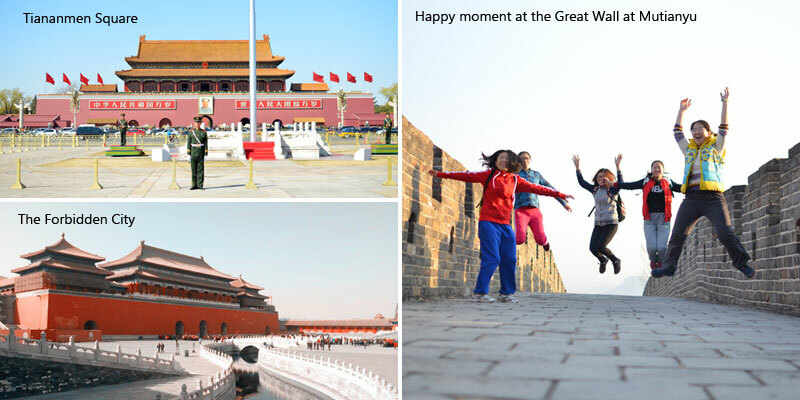 - hiking the Great Wall at Mutianyu, skip the line at Forbidden City, visit Summer Palace, Temple of Heaven, no shopping. See the famous Mao’s portrait at the Tiananmen Square, skip the lines and touch the hidden imperial history at the Forbidden City, feel the “greatness” first hand at the Great Wall of China at Mutianyu, walking at the beautiful willow path of the imperial garden – the Summer Palace, discover the belief and worship of Chinese emperors at the Temple of Heaven and have a panoramic view of the Forbidden City and even the Beijing city the Jingshan park. 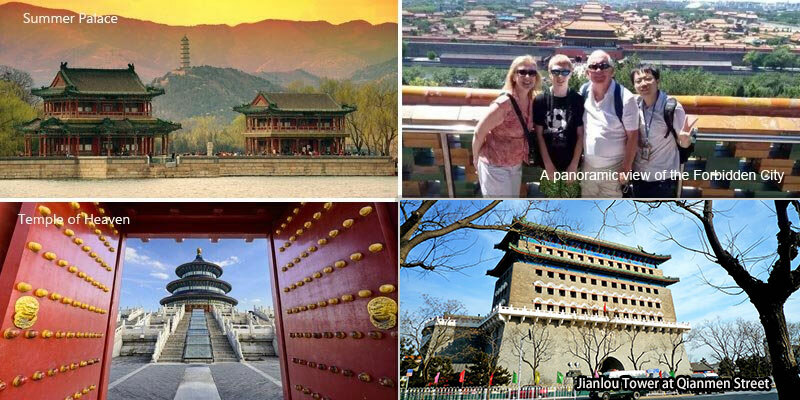 In this two-day tour you’ll get deep touch with this amazing city – Beijing. Look Mao’s portrait at the world largest urban square – Tiananmen Square. Two-hour hiking to the eighth world wonders - the Great Wall at Mutianyu Section. Free drinking water is available at the Refreshments Kiosk. Skip the line at amazing Forbidden City (Imperial Palace Museum) as VIP guests. Walk the Tian’anmen Square with insider’s eyesight. 2-hour Great Wall Hiking at Mutianyu with round-way cable car. Freshly-cooked set meal for lunch. Smartly-timing arrangement absolutely no shop visiting. 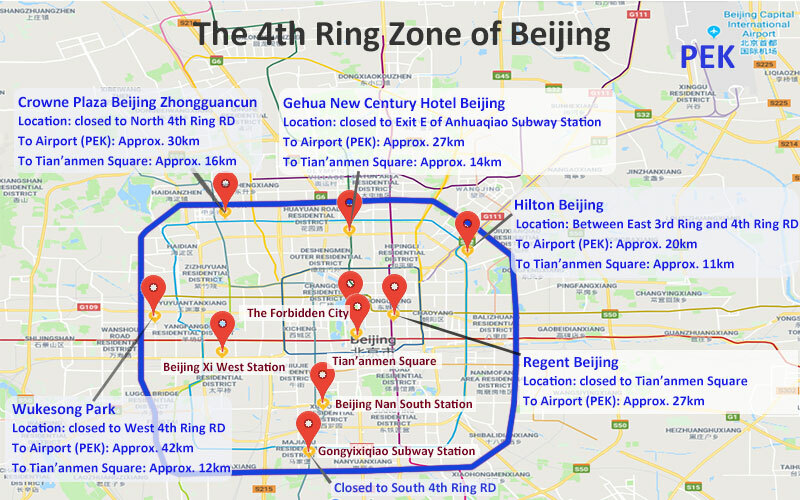 Today you&apos;ll explore the most highlighted attractions in Beijing. This day you&apos;ll have a bird-view of Beijing city and the Forbidden City by visiting the Jingshan Park, deeply explore Beijing by visiting the famous imperial garden - Summer Palace. 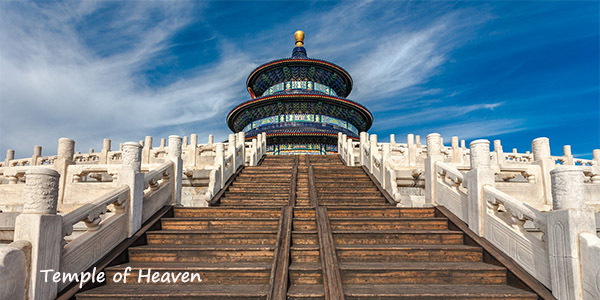 After having a Beijing local style lunch, you&apos;ll visit the Temple of Heaven where the emperors used to pray for rain and good harvest. In the end, you&apos;ll visit the famous business street - Qianmen Street, which has a history of more than 450 years. Please see the detailed itinerary for day 2 below. Your guide will await you at your hotel lobby at an appointed time between 7:30am and 8am . A moderate amount of walking is also involved in this day. Comfortable walking shoes are recommended. 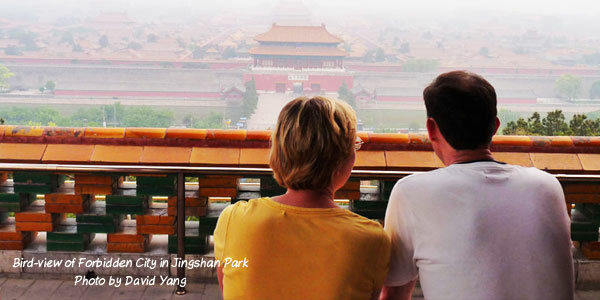 Jingshan Park is located behind the Forbidden City. It is a 479-meter high hill and is said to be the best position to get a panoramic view of the Forbidden City. Definitely not to be missed, Jingshan Park is located on the central axis of Beijing and has many historic buildings symmetrically located on both sides. You will see the Drum and Bell Tower to the north while the Forbidden City and Tian&apos;anmen Square can be seen to the south. You&apos;ll also have a chance to see the authentic lifestyle of old Beijinger, doing Tai Chi, dance and other activities throughout the park. You may take more than a hundred steps to climb up to highest point in the park, normally it takes 10-15 minutes. If you feel strong at the climbing up, don&apos;t hesitate to tell us before you make the booking. Heading to the Northwest of Beijing city. Approx. 50-miniute driving. You&apos;ll visit the world-famous the world famous imperial garden called the Summer Palace. The imperial building was constructed by the emperor in celebration of his mother&apos;s birthday. It is 273 hectares in size and is composed of three main scenic areas: the palace area, lake area, and mountain area. 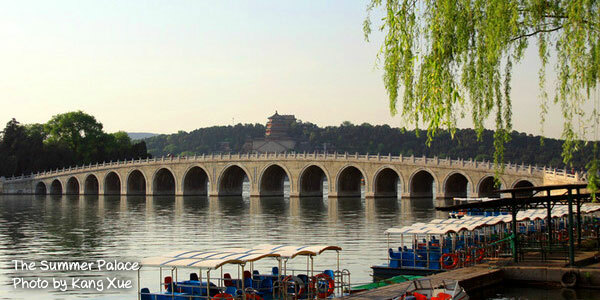 The best way to enjoy sightseeing at the Summer Palace is by taking a dragon boat on the lake (the boat trip is not available in winter as the lake would be frozen) and, on the way, you will have a chance to view all of the beautiful palaces at the side of the lake. The Hall of Abstinence is actually a small palace. The Emperor of Heaven needed to go to the palace three days in advance, with no drinking, no entertainment, no mourning, and paying no attention to any crimes being committed. All these acts showed his piousness to his god. You will also get a chance to glimpse at the pictures of all the emperors who ever worshipped in the Temple of Heaven, as well as a 600-year-old copper statue of a high ranking official who supervised the fasting process of the emperor. 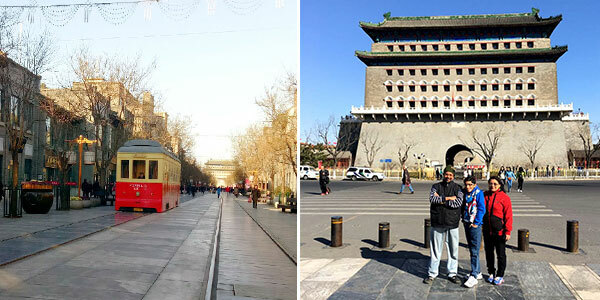 Dating back to Ming Dynasty, Qianmen Street was the imperial road to the Temple of Heaven. Since the middle of Ming Dynasty, Qianmen Street had become a famous business street until now. Even though it has been recently rebuilt, it is still a good place if you want to check out a few hutongs and some of side streets. The different Hutong street has different features, and the architecture and vibe are very traditional Chinese. With a history of more than 450 years, there dwells around 30 famous shops with over 100 years history such as Beijing Tong Rentang which sells Chinese medicine, Rui Fuxiang which sells silk and Liu Biju which sells pickles etc. 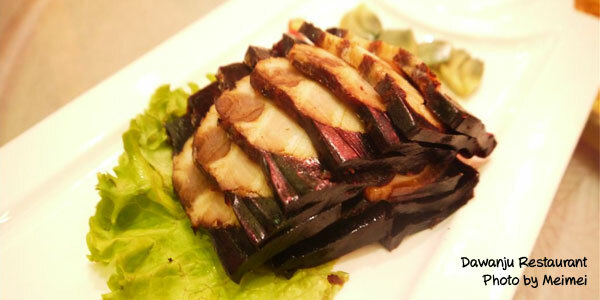 There is a branch of Quanjude Roast Duck Restaurant at Qianmen Street. If you want to have dinner here, feel free to ask your tour guide to make a reservation for you in advance. 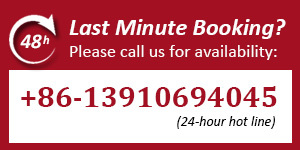 Or you can tell us at the time of booking. But please be noted that you need to get back to your hotel by yourself after dinner. 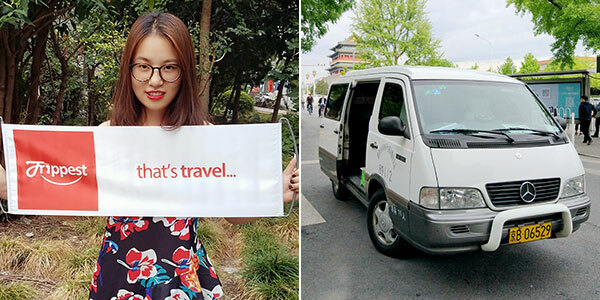 Your guide and driver will transfer you back to the hotel, making a perfect end to your Beijing panoramic tour with Trippest. The peak season includes the following dates: China National Day: 01/Oct/2019 - 07/Oct/2019. Chinese Spring Festival: 24/Jan/2020 - 30/Jan/2020. Other dates are indicated as shoulder season. You will share this tour with other tourists (maximum 6 person). Guaranteed departure. This tour is daily available. But we may adjust the sequence of day tour accordingly when meet with the Forbidden City is closed on Monday. Before your arrival: you are advised to find more details about your tour guide (or driver) and pick up time via this site: https://www.trippest.com/track-your-trip.html. We will confirm your boarding information with the airline office one hour after your departure time to make sure we know that you are on the airplane. Our operation staff and guide will confirm the arrival time on the due day via an app on the cell phone. We will even know exactly where you are in the air! Our car is licensed and registered with Beijing Tourism Administration. The driver will be familiar with the roads and routes to all destinations and restaurants. For the past decade, we have insisted on recycling our tour vehicles every four years, so that we are certain that the vehicle you will be taking is less than two years old. Most importantly, each of our vehicles is insured, and has 50,000 RMB coverage for each passenger. Unlike some other online travel agents who sell tour products made by local travel agents, we built our own branch company in Beijing in 2010, and since then we started to make our own unique products. 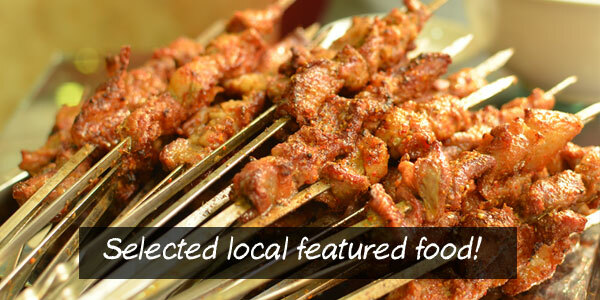 We aim to deliver a high-value tour to every one of our customers. 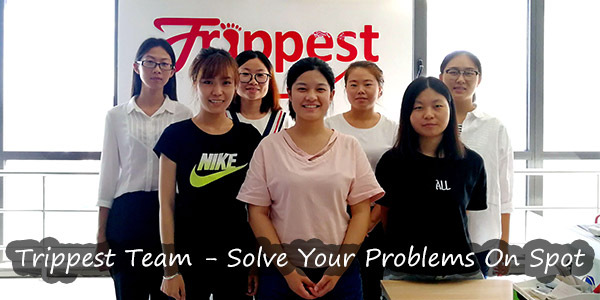 We have more than 50 local staffs in Beijing to solve your problems on the spot.